As a kid my unhealthy obsession with the X-Files resulted in a lot of Scully Halloween costumes (Go ahead, yuk it up. Thankfully there are no photos) and scaring myself so much I couldn’t sleep. To this day I’m suspicious of vents because of an X-Files episode I saw in 1993. It was a magical time! The X-Files was a cultural touchpoint and pushed the boundaries of the TV landscape which has forever left its mark in our minds and hearts. As such, when the X-Files reboot was announced the internet lit up with excitement. 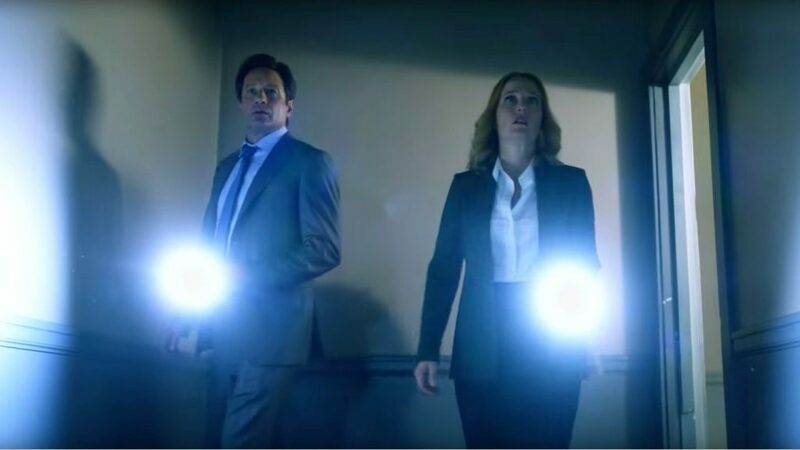 Mulder and Scully were back for another round of investigating paranormal occurrences and fighting the government! 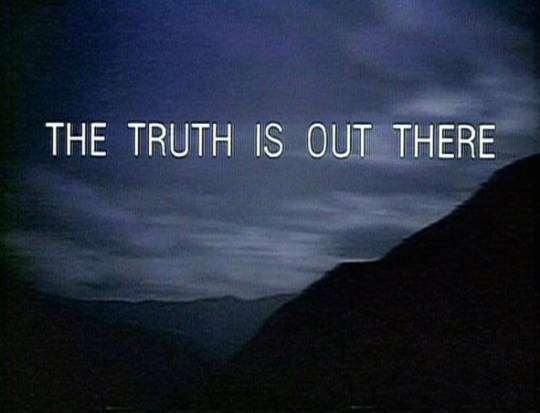 If seeing the X-Files opening credits in primetime again didn’t send a shiver down your spine, you’re dead inside. Holy smokes Joel McHale is irritating! From the moment his beat-me face is shown on the TV, I cringed. 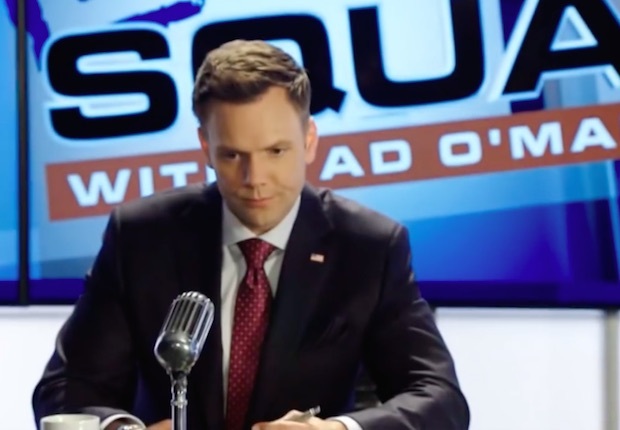 Even his character’s name, Tad O’Malley, which sounds like a dive bar by a university campus, is horrible. He’s not a terrible actor, this role was just completely wrong for him. The idea of someone being more paranoid and crazy than Mulder is really exciting, but just no. However, I can’t blame him for hitting on Scully though, she’s a national treasure. Mulder’s voiceover in the beginning to catch people up to speed was awesome because it showed old photos and monsters (Eugene Tooms will forever be one of the most terrifying villains) but it was strangely executed. Basically, just old set photos were recycled but clearly no one would have been able to take a photo of Mulder and Scully in the freaking forest. Fine, I’ll shut up about that, I know there are creative freedoms required for TV. One highlight of the first episode was Sveta’s car getting zapped by the alien craft. Throwback to some of the best old X-Files episodes! I enjoyed the throwback to the Roswell crash but it didn’t really go anywhere. However, I did enjoy the government agent gunning down the alien that was trying to crawl away. Let him live! The overarching conspiracy of the first episode didn’t pay off but I appreciate Chris Carter’s attempt. It was cool to see the X-Files set in real time with reference to 9/11 and with Obama laughing about aliens but that wasn’t enough to save it. It was a disappointing first episode that is making me question the entire reboot. Has Chris Carter lost the magic that made the show such a hit? Ok, this is exactly what I wanted- there was a cold open and a monster of the week! 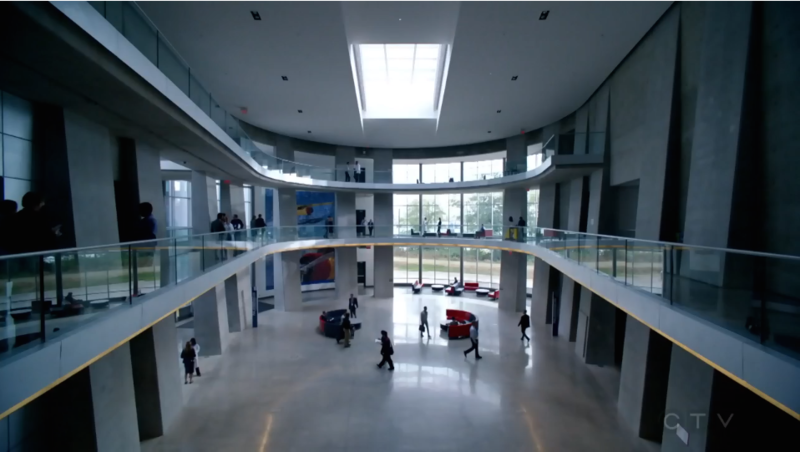 First off, I need to mention (brag) that the cold open was filmed at the 14 Oranges office at the BCIT Aerospace building! I’ve been missing meeting/seeing Gillian and David for exactly 20 years now so it’s no surprise I missed them again. Sigh. 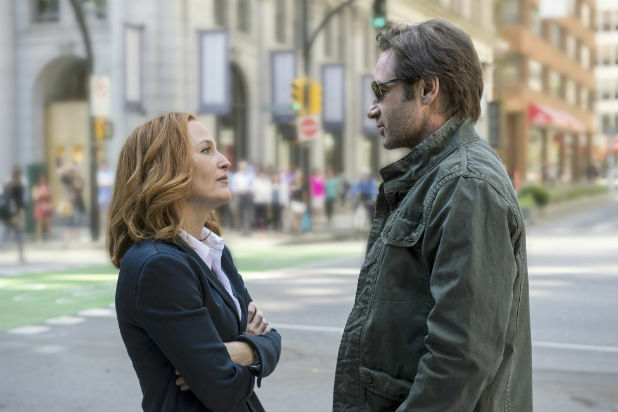 The X-Files have always had fantastic openers in iconic episodes like “Bad Blood”, “Home”, “Jose Chung’s From Outer Space” and the “Post-Modern Prometheus” to name a few. I’m glad that “Founder’s Mutation” stayed true to the winning format because it made the show start to feel back in the swing of things after the dismal first episode. Founder’s Mutation has the sci-fi goodness that we’ve come to expect and love from the X-Files. 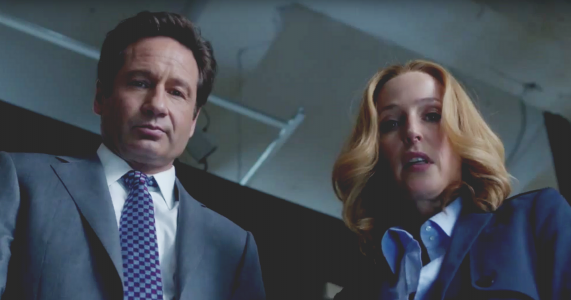 I loved that Mulder and Scully were back in the FBI without a hitch. There was no ‘should we, shouldn’t we’ nonsense, it was pure back in the saddle, grab your flashlight goodness. Also, the guy jamming a letter opener into his brain was a throwback to the gory imagery that we so adored 20 years ago. Good work, Chris Carter, you’ve redeemed yourself! Mulder and Scully have smartphones! That seems very anti-Mulder because I would imagine a smartphone would be easier for the government to trace but I’ll ignore that. Scully was also using the internet and made a crack about knowing things because she’s “pre-Google” which gave me a chuckle. One thing that was true to the original old school style, but still confuses me is why they continually use flashlights when they could simply turn the actual light on. I’m counting that plot detail in the technology section because today everyone would just use the flashlight on their smartphone. I enjoyed the plot detail that Mulder was using Uber which was a nice nod to the modern world of car sharing and transportation technology. By extension this means that Mulder knows how to use a mobile app! I’ll be bitterly disappointed if his Uber username is not Spooky. With several mentions of hard drives and data centers, this episode showed that Mulder and Scully are still not very comfortable using technology. Instead of hacking the hard drive or stealing it (please bring the Lone Gunmen back for some hacking! ), Mulder instead chose to just take the dead guy’s iPhone. They didn’t rely on their phones for directions or information the way that everyone on earth does today. Mulder and Scully’s first meeting is clearly outside Terminal City Club in Vancouver so right away it felt like home. Vancouver is the perfect setting because every old X-Files episode starts with ominous music and someone getting chased in a forest while it poured rain. It was perfection! After the ‘meh’ of the first episode, the second episode really hit its stride because the old Vancouver feeling was back. It was like being in a time machine watching and picking out the locations around town like when Scully drove through an alley that was clearly Blood Alley in Gastown. Mulder needs a nap because he looked very tired. I’m not sure if that’s part of his schtick or if David Duchovny is just tired. Scully continues to be flawless and this time she gets a better wardrobe. Their dynamic was great because it picked up right where they left off. They were comfortable with each other, the banter was returning and they were still a dynamic team. I also noticed that Scully did all the driving! The original opening credits were used which made me laugh because it seemed lazy and perfect at the same time. It’s iconic! 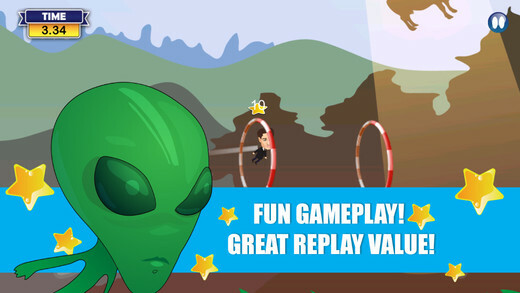 Inspired by my love of the X-Files, I decided I would add another dimension to my X-perience: mobile games! There isn’t an official X-Files mobile game so I had to make due with what was available. First off, I tried to make Scully my avatar and it wanted to charge me $11.99 for that privilege! Outrageous indeed, so I was stuck with Mulder as my second choice. The in-app purchases basically destroyed this game because you couldn’t get into it without having to pay. One basic level is not enough to make me shell out $11.99 for more. The whole game was Mulder jumping through hoops while a non-threatening UFO with a cow in its beam of light hovered nearby. Also, this app had so many ads that it ruined any enjoyment of the game. Every level completion or milestone resulted in an app. Ick. Since the first game was so dismal I decided to try this one. For this game I was also unable to be Scully either! 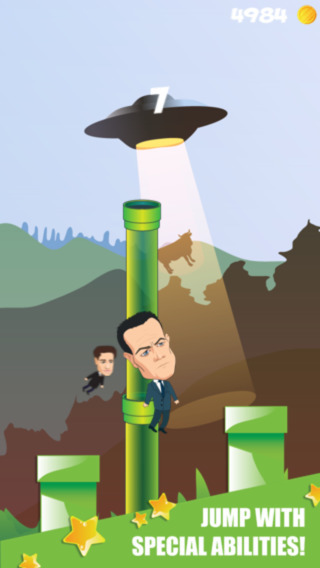 The premise of this game was to jump on platforms while there was a UFO in the background. When you fall off the platform you have to pay points to get another life. Yes, it was that boring. Very disappointing game and graphics that there was no way I would pay a dime to play more. Ok, this is technically not an X-Files game, but I was desperate for something that didn’t elicit rage. There were mercifully no in-app purchases but the game itself was exactly what was promised. I guess I was expecting more, but it’s just guessing what the next shape will be. There was a cool robot named Lisa in the intro that made me think of Sigourney Weaver but it had nothing to do with the game. Turns out, probably to the surprise of no one, that I’m not at all psychic or telepathic. At this point, my iPod is more telepathic than I am because sometimes I’ll be thinking about a song and it’ll play next. That probably explains why I haven’t won the lotto yet. I would recommend powering through the first episode because it’s mainly a set up for what’s next. According to my internet research, episode three is when things get really good. Go forth, watch it, and let me know what you think! Will the truth be revealed?